Young and old alike will fall in love with this simply adorable Groovy dog. This friendly little fellow measures approximately 20cm in width by 25cm in height, and his ears extend over his head, as if making a surprised exclamation. This motley mutt is lovable, that is for sure, and is a soft, flocked toy that is plush and ready to be hugged by whoever you give him to. 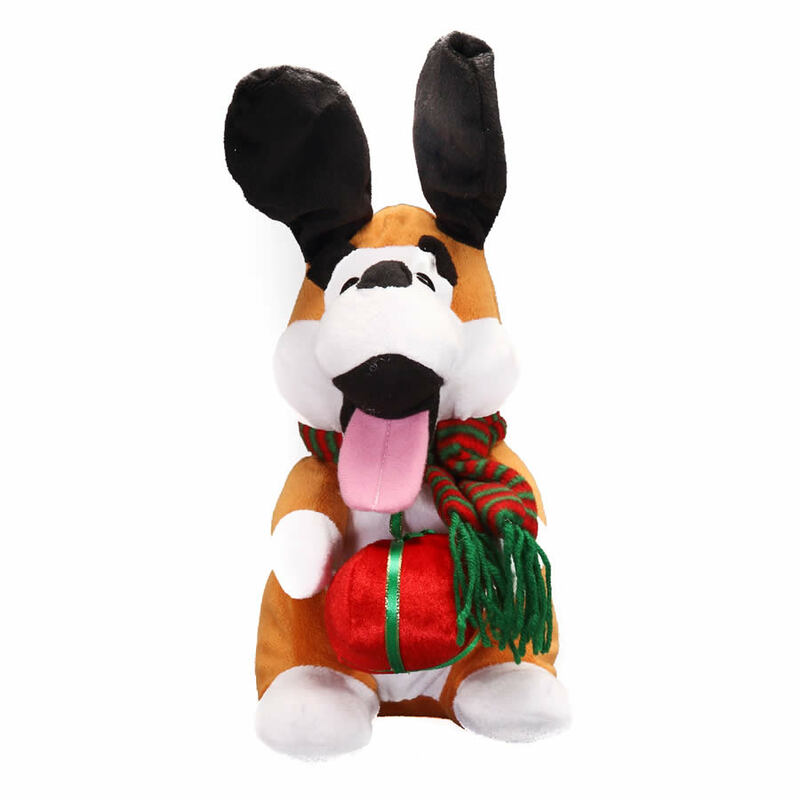 The dog features a holiday striped scarf and carries a festively wrapped package in his paws. He has a long, pink tongue as he pants in excitement over the coming Christmas season. This dog is brown and white with black accents, and looks a lot like many of the pets loved and owned by those around you. Give this sweet puppy a home this holiday, and consider him for folks on your own holiday shopping list.